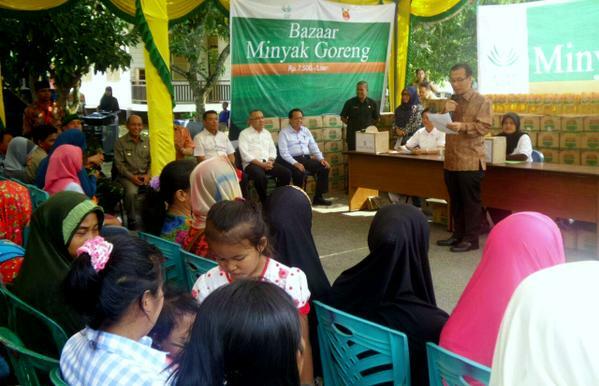 Asian Agri organised a cooking oil bazaar in conjunction with APRIL’s recent Fire Free Village Programme announcement on 28 July 2015 in Pangkalan Kerinci. 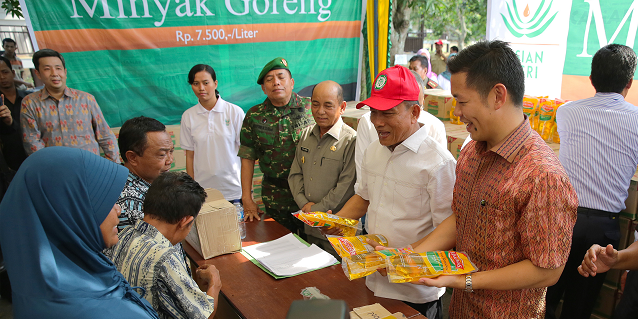 A total of 5,000 litres of cooking oil sold at a discounted rate of IDR 7,500 per litre (USD 0.56). This is below the market rate of up to IDR 13,000 per litre (USD 0.97). The post-Hari Raya Idul Fitri bazaar attracted hundreds from the community in Riau, all waiting eagerly for the cooking oil (minyak goreng in Bahasa Indonesia or shortened to Migor) as shown in Asian Agri’s tweet below. Acting Riau Governor Arsyadjuliandi Rachman expressed his appreciation of Asian Agri’s socially responsible initiative to help people purchase quality cooking oil at affordable prices. He noted that bazaars like these also help the government alleviate cooking price inflation for the benefit of the wider community. 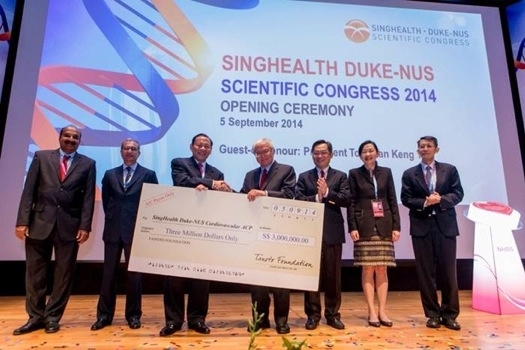 Former Chief Commander of the Indonesian National Armed Forces General Moeldoko also graced the event. He shared his appreciation for Asian Agri’s community-focused programmes, adding that he hoped that programmes and initiatives like the cooking oil bazaar can continue. Asian Agri Managing Director Kelvin Tio speaks at the cooking oil bazaar. We want to help ease the burden on the public, so they are able to fulfill their basic food needs at affordable prices. This is in line with our company’s 3Cs principle which we apply to our business operations – Good for the Community, Good for the Country and then Good for the Company. Be sure to get the latest updates from Asian Agri on their Twitter page: Corporate, community, sustainability news, and more!